STOCKHOLM (Reuters) - Sweden's Skanska does not expect to hit an operating margin target for its construction business this year or next, sending its shares down nearly 3 percent on Wednesday. The Nordic region's biggest building firm, which is also one of the largest in the United States, is restructuring its construction division due to weak profitability and project writedowns, mainly in Poland and the United States. The construction division, which accounts for the bulk of Skanska's group sales, last achieved the target of at least 3.5 percent in 2014 and in 2018 managed just 0.7 percent. 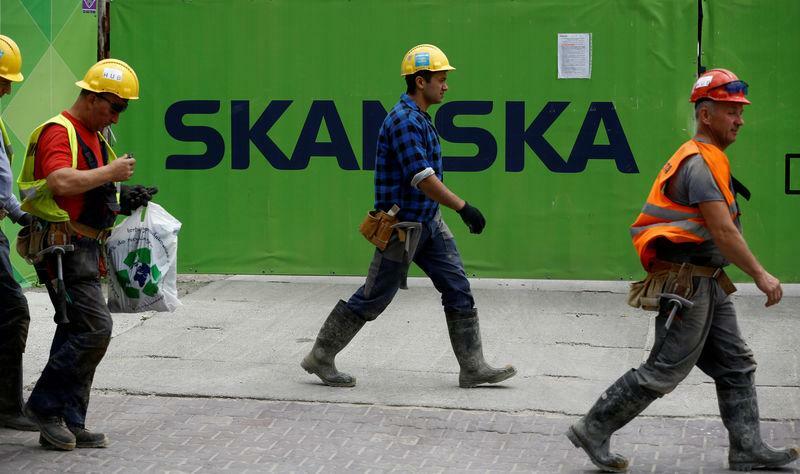 "Based on expected performance in current order backlog, Skanska will unlikely be able to reach the operating margin target in construction for 2019 and 2020," Skanska said. Skanska has shifted the division's strategy towards only bidding on contracts with relatively low risk, resulting in slower order intake. In the fourth quarter the margin was 2.0 percent and Anders Danielsson, a Skanska veteran who became chief executive in January 2018, said last month it was starting to see the impact of restructuring measures launched a year earlier. Refinitiv estimates showed analysts had expected the construction business to hit a margin of 2.8 percent in 2020. The division has had to make large writedowns in the U.S. on a number of complex projects in which costs have spiralled. Richard Kennedy, Skanska's USA manager, told investors he expected revenues from unprofitable projects - so called dead revenue - in the United States to drop to 2 billion crowns (166.6 million pounds) in 2021, from 10 billion in 2018. Shares in Skanska were down 2.7 percent by 0958 GMT, having risen on Wednesday to their highest in five months. The revised forecast from Skanska came as HeidelbergCement, the world's second-largest cement maker, said it expects sales and profits to grow moderately, reflecting energy cost inflation and higher demand for construction materials in Indonesia, Europe and North America. 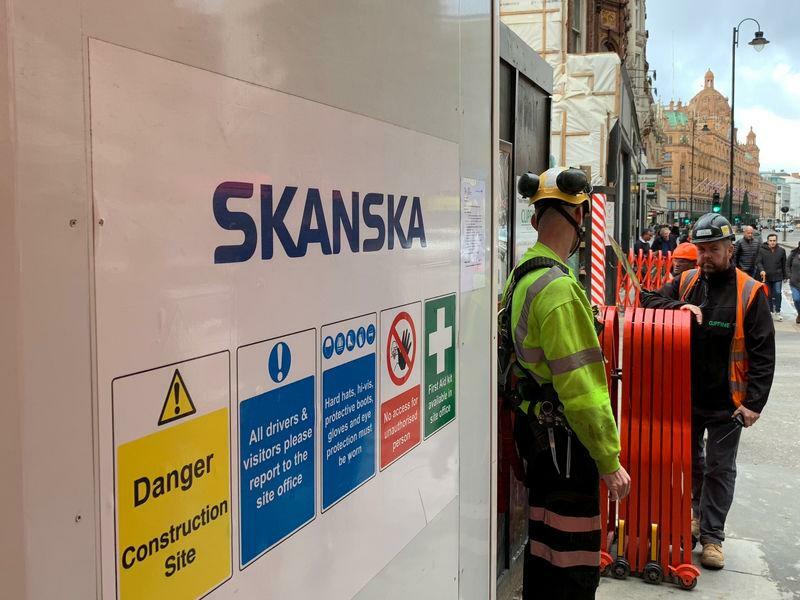 Skanska last month flagged a dividend cut to maintain a solid financial position as it plans to further expand its residential and commercial property development operations. Its project development has grown rapidly in recent years to account for more than three quarters of profit, with expansion funded formerly by working capital growth at the construction division. Skanska also launched a new financial strength target for adjusted net debt of not less than 9 million Swedish crowns ($983,950), dropping earlier wording that net operating financial assets/liabilities can be negative.